So I loved this card so much, I made a two more with some small changes! 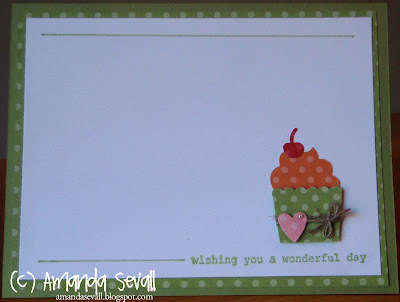 I swapped out the sentiment, added a few extra embellishments and altered the "frosting" top of the cupcake. 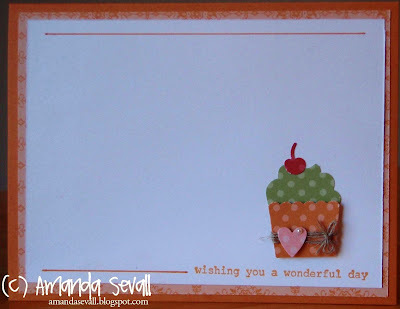 To make the "frosting" I punched the cupcake out, then took the decorative label punch and punched out a little of the top to make it look swirled. Isn't it cute? !